The following groups and individuals have endorsed Yadira in her campaign for House District 31. "As a pediatrician, Yadira has dedicated herself to serving our community making sure our children have the opportunity to succeed. I'm supporting Yadira for State Representative because she will fight to ensure every person in Thornton has access to quality healthcare, strong public schools, and the opportunity to live the life they want." "As I run for Colorado Attorney General I am proud that a strong Latina who advocates for families in Adams County is running for the People's seat. Born and raised in Colorado Yadira Caraveo knows this state and as a pediatrician she works every day for the needs of children in Adams County. She sees the struggles on hard working families to provide for their children. She will fight in the legislature to help the families of Colorado succeed. Yadira is the right person for HD 31!" "As someone who knows what Thornton needs in its elected officials, I know that Yadira Caraveo will give voice to working families and fight for the causes that they care about. I am supporting Yadira because she is a proven, progressive leader who will do what’s best for our children as our next State Representative!" "Yadira has always been on the side of working class families and marginalized communities. She understands that Colorado cannot move forward without the pursuit of economic, racial, and social justice and she will work hard for progress. She is a strong, dedicated leader who will be there for the community and fight for equity and inclusion in Denver!" "I am excited to support Yadira Caraveo and her campaign for the State House. If she wins, she would be the only doctor in the state legislature. Since we will tackle healthcare during the next few legislative sessions, we need her leadership, perspective, and expertise in order to secure progressive reforms for Colorado's working class families!" "As a pediatrician and daughter of immigrants, Yadira Caraveo knows how to work hard for families. She will be a strong, progressive advocate every day at the Capitol, and I look forward to working with her in the state legislature!" Hover the cursor over the logo of each organization to learn more about each endorsement. Click on the logo to see the organization's press release. Yadira Caraveo was endorsed by the Colorado AFL-CIO during the Colorado AFL-CIO’s 33rd biennial Committee on Political Education (COPE) Convention in late April. "Delegates from across Colorado gathered on April 28-29, 2018 for the Colorado AFL-CIO’s 33rdbiennial Committee on Political Education (COPE) Convention to determine candidate endorsements for the 2018 elections. 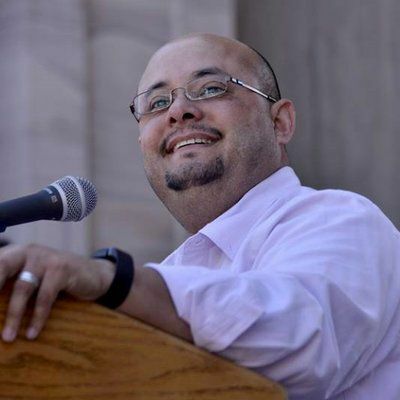 By the Colorado AFL-CIO Constitution, a two-thirds majority vote is required for endorsement. 'Working people in Colorado need to know that their elected leadership is working hard for them,' said President Josette Jaramillo. 'That is why we are thrilled to endorse a slate of union champions that have demonstrated their commitment to our members by expanding collective bargaining rights, raising wages, and making our workplaces safer. We believe that if these candidates win, our state will be more equitable and fair for all families.'" Pipefitters Local Union 208 strives to provide our members with a quality of life characterized by respect and social-economic security through promoting and representing the interest of all working men and women in the piping industry. Yadira Caraveo released the following statement over Facebook on this endorsement: "I’m proud to announce that last week I received the endorsement of Pipefitters Local 208. As a former union delegate I know the importance of unions in protecting worker rights, they’re more important now than ever. I greatly appreciate their support in this race." Colorado Ceasefire is an all-volunteer organization dedicated to promoting leaders who will advocate for gun violence prevention. Dave Lockley, the President of District 12 Educators’ Association, also released the following statement on the CEA endorsement: "On behalf of educators across Adams County, I am proud to support a product of our public schools, and a true champion for our children. She will work tirelessly to make sure that every child has the opportunity to each their full potential no matter their zip code." #VoteProChoice has supported pro-choice candidates across the country since 2016. In March, they announced their endorsement of Caraveo, tweeting the following statement: "A powerful #prochoice champion (who is a Latina pediatrician) is joining our #ROEvolution! @YadiraCaraveo is running to represent #Colorado's State House District 31! Help get this #reprorights advocate elected!" "Yadira Caraveo, your 2018 candidate for House District 31, is the daughter of immigrant parents who moved to Denver from a small town in Mexico in the 1970s. The oldest of four children, Yadira and her siblings grew up in Adams County. After graduating from Northglenn High School, Yadira went on to earn a Bachelor of Science degree in Biology from Regis University and a degree as Doctor of Medicine from the University of Colorado. After spending three years of pediatric residency, she returned home to her beloved Adams County, settling down in the city of Thornton where she currently resides and practices as a pediatrician. As a Latina woman, a pediatrician, a labor advocate, and an environmental activist, she has never backed down from tackling the issues that Coloradans face. While she has received accolades for her work, like the “Champion of Change” honor from the Obama administration in 2013, she fights for her neighbors because she wants to help improve our lives and move Colorado forward." "Whether it’s minimizing the impacts of oil and gas activity on our communities, protecting wild places across our state, or taking real steps to address climate change, elected officials are in a position to greatly help – or harm – everything we love about Colorado. With a governor’s race and an opportunity to take back a pro-conservation majority in the state legislature, we could open up the possibility of making bold changes to protect our future." MoveOn endorsed Yadira Caraveo in July, the first endorsement they made for any State House candidate in Colorado. Yadira is promoting progressive values for a new Colorado. She is the daughter of immigrant parents and was raised in Colorado. She currently is a child health advocate and pediatrician serving the community of HD31 and the greater Denver area as a whole. She has worked with the Union of Concerned Scientists on global warming, SEIU to organize her fellow medical residents, and currently is on the board of the Early Childhood Partnership of Adams County and on the Colorado Behavioral Health Transformation Council, working to improve health and wellness for people across the state of Colorado. I have been a strong proponent for reproductive rights including in my work and training as a physician, where I experienced the limitations placed upon providers in various hospitals all relating to reproductive healthcare. I believe the choice of whether and when to have children is completely individual to everyone, and patients should be provided with every option to make the right choice for themselves without government interference. Yadira Caraveo was endorsed by the Working Families Party as a member of its nationwide slate of candidates for the 2018 elections. The organization released the following statement on its endorsements: "The Working Families Party endorsement is like a progressive seal of approval: it means these candidates can be counted on to fight for us on the issues that matter most, from fair funding of public schools and living wage jobs to ending mass incarceration and getting big money out of politics."